A good aperitif exudes luxury and offers an unrivaled taste. 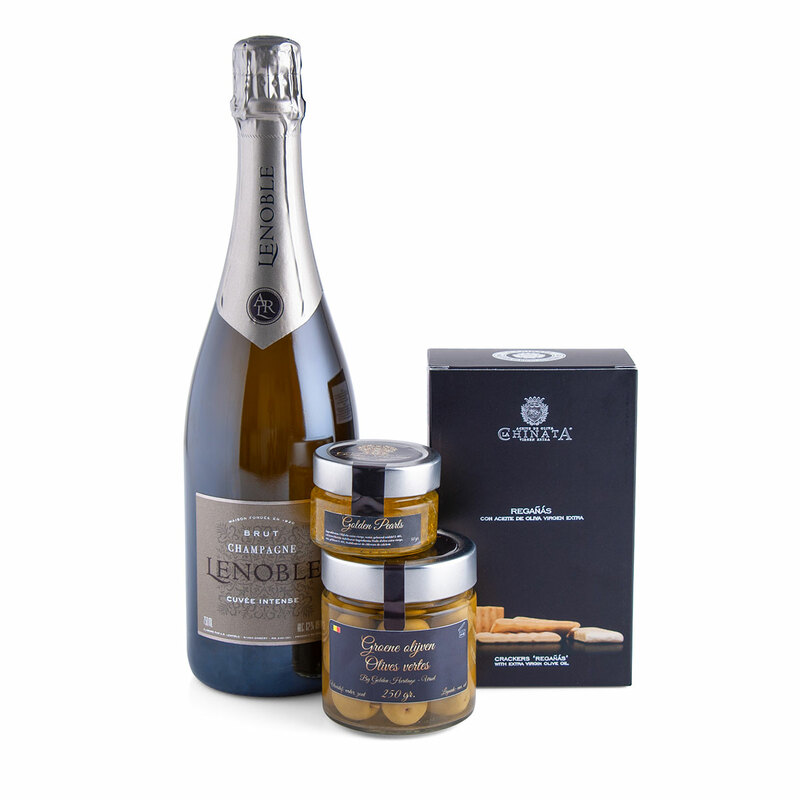 That is why hand selected the best snacks to complement the luxurious Lenoble champagne perfectly. The AR Lenoble Intense Brut champagne offers an elegant and delicate balance between maturity, fruitiness and full body. The champagne of Chardonnay, Pinot Noir and Pinot Meunier is the ideal appetizer to whet the appetite. The Manzanilla olive is known for its softness and mildness. Delicious to eat with fish or cheese. The Golden Olive Pearls burst open on the tongue which gives a delicious taste sensation. With the tapas crackers with Extra Virgin Oil from La Chinata this is the ideal gift for those who like to enjoy a good aperitif.